Hot off the press from the Oberoi Udaivilas in Udaipur, India. All because of one image | From the moment I laid eyes on the image of the Oberoi Udaivilas, I was overcome with an strong urge to visit. The beauty that spoke to me through the photograph was truly captivating. I decided to research this place and found that the Oberoi Udaivilas was recently named the top resort in the world by Travel and Leisure. 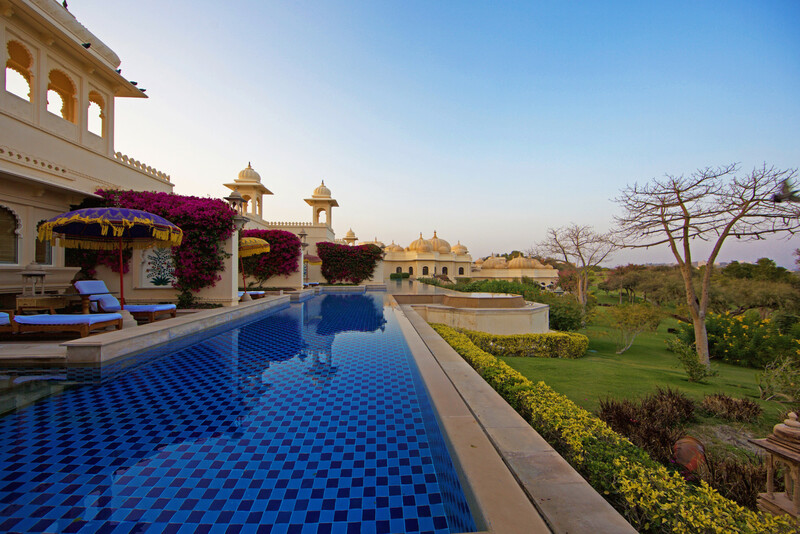 I immediately placed Udaipur and this beautiful Rajasthani resort at the top of my travel wishlist and began plotting my trip. I could barely hold back my excitement as we drove through the massive gates surrounding the Oberoi Udaivilas. I had dreamt about this place for so long – and now I was here, completely overwhelmed by the unique beauty spread out before me. 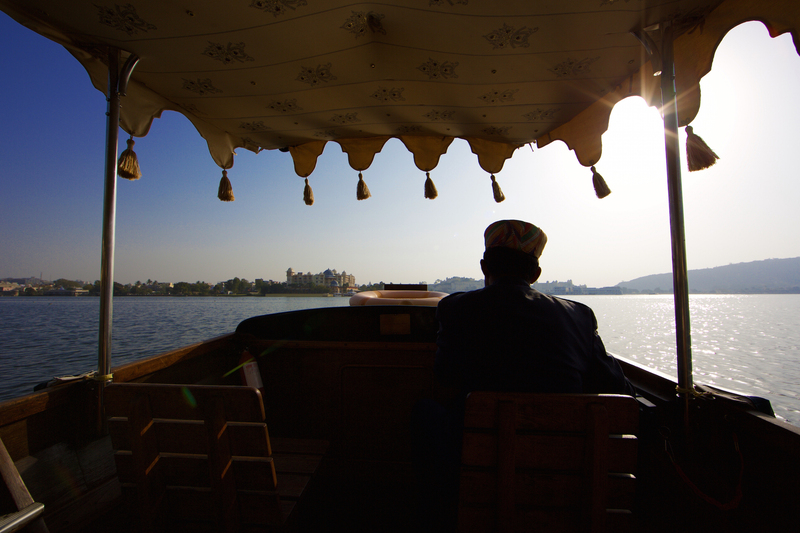 Overlooking Lake Pichola and the City Palace, the resort exterior features large pillars, hand crafted-bronze doors, and manicured gardens. 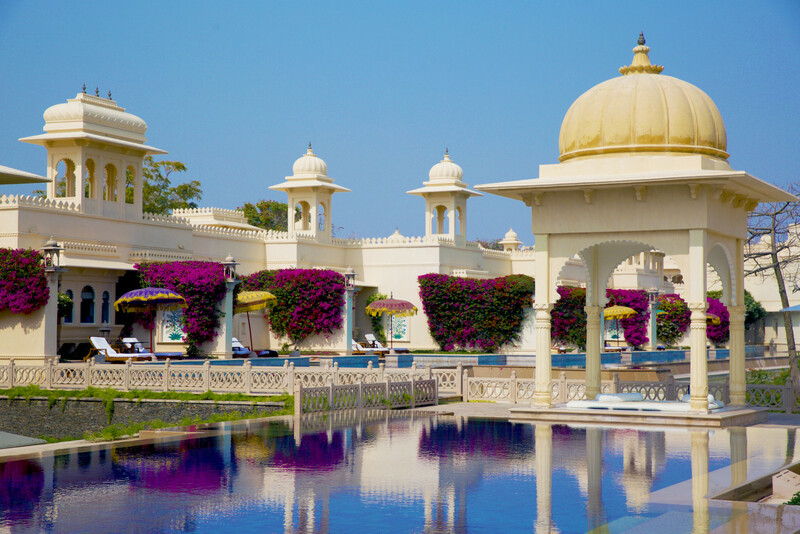 The architecture depicts luxury and grandeur with its intricate details, pavilions, fountains, and white domes. Bursts of fuchsia contrast the stark white facade, as blossoming Bougainvillea flowers peak around corners and pour over balconies. Among my favorite decor details were the vibrant purple and yellow tasseled umbrellas and turquoise checkered patterns in the pools surrounding the resort. Plush daybeds, pagodas, and a labyrinth of carvings embellished the grounds. I observed wild peacocks and a wide array of birds perched throughout the gardens, as well as deer grazing on the resort’s 30 acre nature reserve. Worth it. Trust me and you’ll thank me later. This room has a fantastic private poolside terrace with direct access to the semi-private pool that surrounds the resort. Soak up the sun and take in the lake and city views from your loungers or go for a cool dip in the water. You can also sit outside to enjoy a romantic candle-lit private dinner on your patio. For me, this was Indian food paradise. “Can’t stop, won’t stop” was my motto at the Oberoi Udaivilas. Breakfast time brought on a grand buffet of international cuisines, though I stuck with the Indian food and made myself some delicious thali plates; complete with flavored rotis, idlis, sambar, raita, mixed vegetables, and pretty much whatever else was offered. In-room dining was better than ever on our private patio and included my favorite dishes: dal makhani, bhindi masala, saffron rice, various curries, mango chutney, and fresh garlic naan. Our romantic dinners at the resort’s Indian restaurant were set out on the patio overlooking Lake Pichola and the beautiful city, and offered an upscale spin on traditional Indian dishes. Indian hospitality is in a category of its own, especially at Oberoi properties. Guests are made to feel like royalty with no detail overlooked. At the Oberoi Udaivilas, wherever my husband and I went throughout the resort, someone from the staff would come introduce themselves to us and ask if they could do anything to better our experience. Upon our arrival, we were greeted by the general manager. At the bar, the bar manager came over and spoke to us and then created a custom complimentary cocktail based on our tastes. At the restaurant the head chef came out to introduce himself and asked what our special preferences were. You just can’t find this kind of personal service at most places. The City of Udaipur is known as the Venice of the East due to the fact that it is built along multiple waterways and lined with sophisticated marble architecture. It is noticeably cleaner than most cities in India and offers the perfect mix of city and countryside. 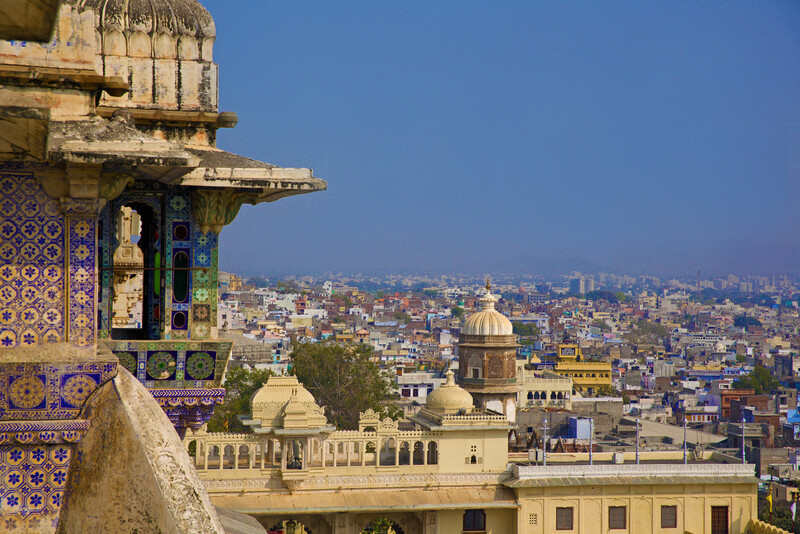 It is arguably the most romantic city in India with its vibrant sunsets, boat rides, and sprawling hillsides. Udaipur’s streets are colorful and lively featuring ancient bazaars, a bustling art scene, and a wide array of delectable Indian cuisine. I would recommend staying at least 3 days at this hotel. Two days to explore Udaipur and another day to relax and appreciate the beautiful setting of the resort, pool, and gardens. Reserve the premier room with the semi-private pool. 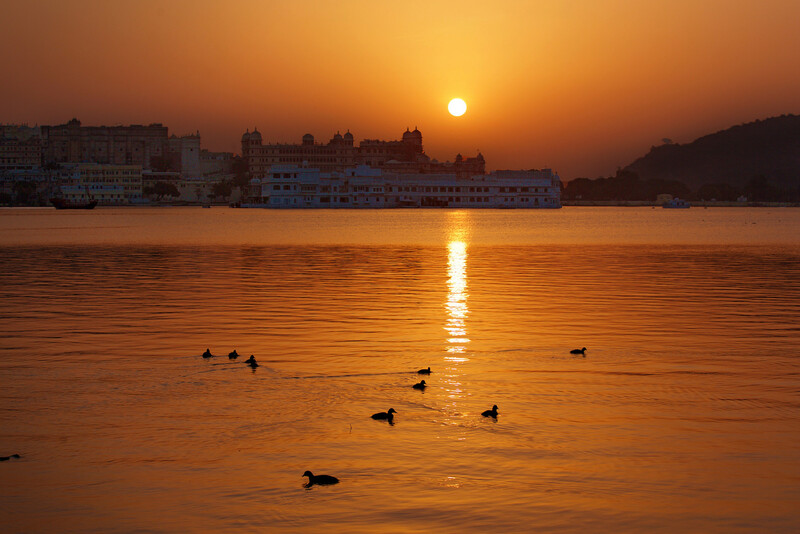 The best time to visit Udaipur is between October and March when the weather is mild. Make sure to watch at least one sunrise from the resort. They are fantastic. Bring some antacids if you aren’t used to eating spicy food. Stop by a local gem shop. I found some of my favorite jewelry in Udaipur. Don’t miss seeing the miniature paintings, they are fascinating. Do not expect your hair dryer or hair tools to work here. The hotel provides a hair dryer. Do brush your teeth with bottled water. You never know what you’re going to get in India. In previous trips, I’ve been sick from the water. My husband owns his own business, which allows him the luxury of being able to travel when he wants to. He doesn’t come with me on all of my trips, but he is very supportive of my blog and shoots most of the images that I am in. Vanessa, you would love this part of India! This post is fantastic! The video is awesome! I really want to visit India and stay at Oberoi Udaivilas after reading this!!! 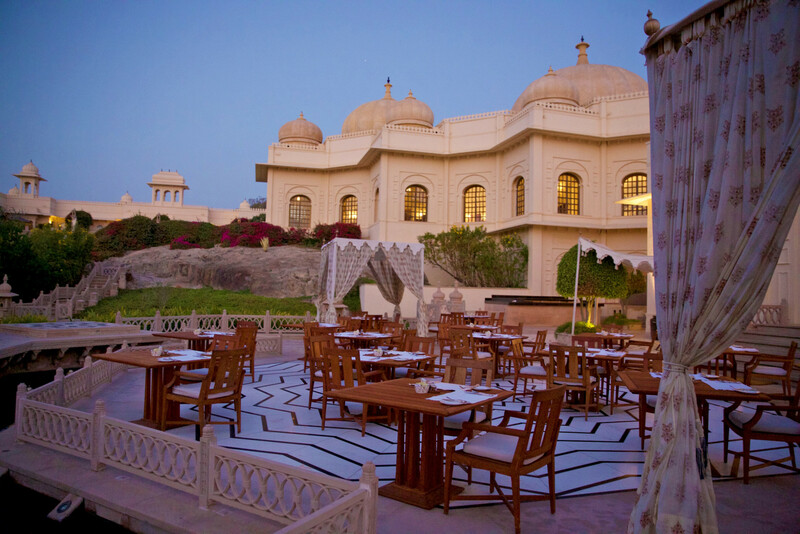 I totally agree with everything you have written about Udaipur and this so special hotel. It was the last stop of my three week trip, mostly solo trip to India. And I am so glad I saved it to the last. Very true about those rooms with the semi private pools. I don’t think I saw enough of Udaipur but by then I was tired and just made the effort to see the Ranakhpur temple which probably left the most impression on me out of everything I visited while there. Thank you for your lovely impressions and the pics you post on Instagram.